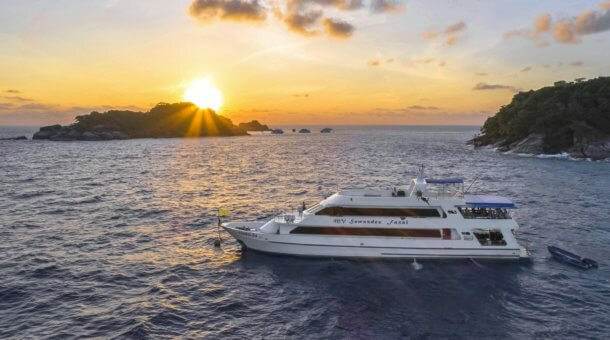 Welcome to Sunrise Divers in Phuket - We are your friendly, local Phuket scuba diving centre for Liveaboards to the Similan Islands, Richelieu Rock, Hin Daeng and Myanmar on the best liveaboards in Thailand. You'll find options to suit every budget from backpacker to luxury. 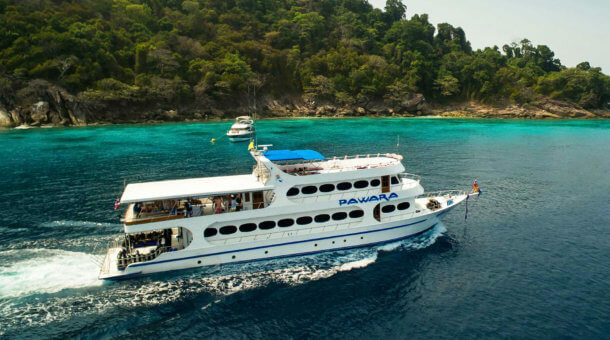 Liveaboard dive boats operate from Phuket and Khao Lak to the Similan Islands and Myanmar from the end of October to early May. 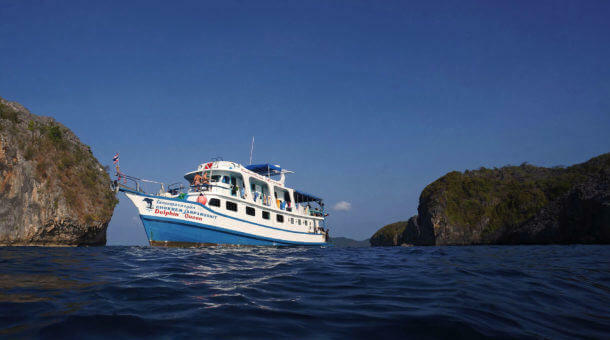 Sunrise Divers also offers our guests a wide variety of year-round day trips and dive boat charters to the best dive sites - diving in Phuket and the Phi Phi Islands. Our friendly team of dive instructors teach PADI diving courses at our 5 Star Dive Centre located at Karon Beach, Phuket since 1999. Whatever your Phuket diving needs, please do contact Sunrise Divers today - send a quick enquiry or call +66 8 4626 4646 - we are always here to help! 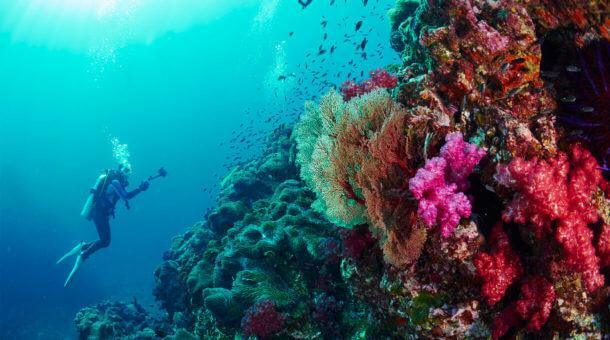 The Similan Islands offers the very best diving in Thailand. Liveaboards of all budgets run from October to May including the main Similan Islands plus Richelieu Rock, Koh Tachai and Koh Bon. Explore the Mergui Archipelago! 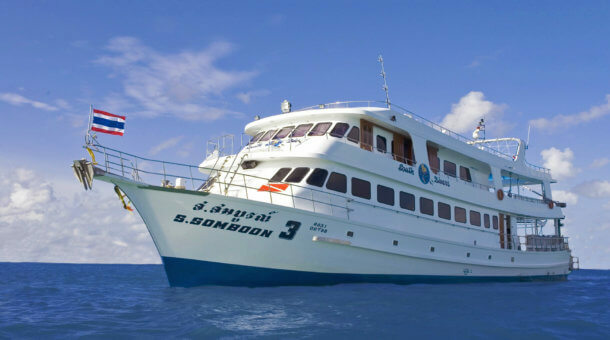 There are not so many liveaboards heading into Myanmar and the diving is a bit more advanced than the Similan islands. Great diving and certainly no crowds! These boats are our best sellers, all high standard boats at a great price. Liveaboards in this price range often have several cabin types to suit different budgets and these boats always fill up early. Diving is not just for people with lots of money! 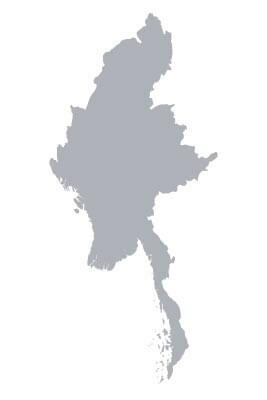 Thailand in particular is a very popular location for lower budget liveaboard trips on a variety of boats that will absolutely not break the bank! 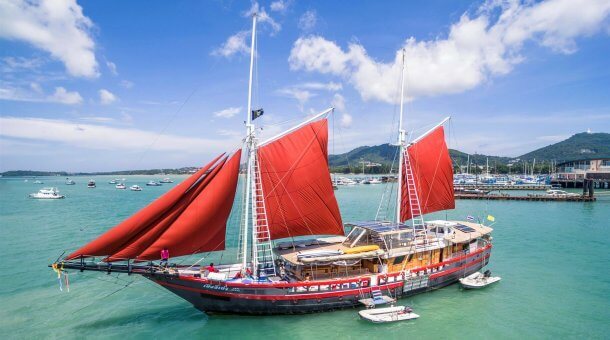 The very best liveaboards in the region with trips to the Similan Islands, Mergui Archipelago and Indonesia. These are the most luxurious top class boats with top quality comfort and service. Check here for last minute prices and early booking special offers. 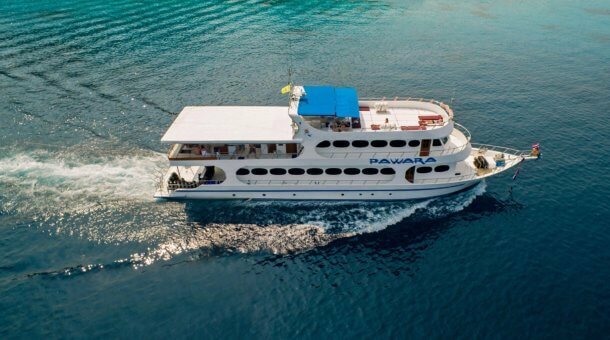 We do suggest early booking for all trips because liveaboard diving is so popular from Phuket these days. 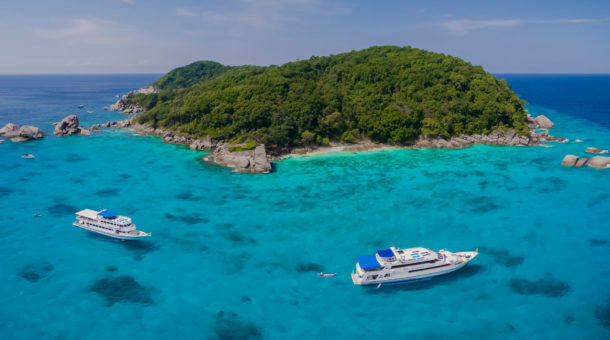 From Phuket we offer day tours, overnight trips and day trip packages to many great dive sites including the Similan Islands, Phi Phi, the King Cruiser Wreck, Shark Point and the Racha Islands. Sunrise Divers is a PADI 5 star dive shop. 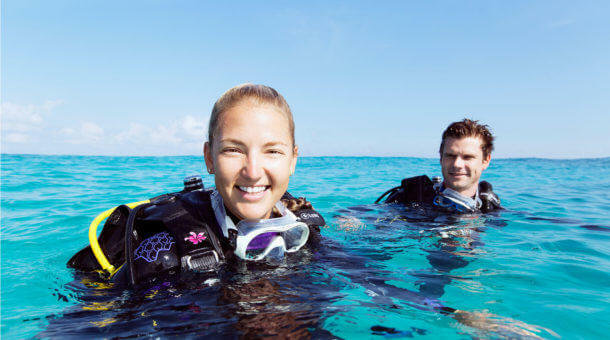 We offer try dives, beginners diving classes or more advanced dive courses with small class sizes and experienced instructors. Start your diving life here! 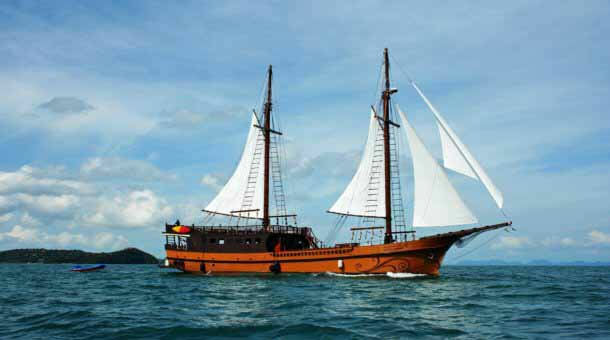 We hope to see you here soon for a liveaboard, Phuket diving day tour or a dive course! If you have any questions about liveaboards, please contact Sunrise Divers. No time to look through our web site? Simply send a quick enquiry or call us (+66 84 626 4646). Tell us what you need and we'll do our very best for you. With nearly 20 years of scuba diving experience in the region we can offer you balanced, impartial advice and help you choose the best liveaboard boats to suit your needs. Don't Miss Out Book Trips Early! Liveaboard Diving has become very popular in recent years. Sometimes you can be lucky and find a last minute trip, but the best boats always fill up early. We suggest you contact us well in advance of your travels to ensure that we can help find the right trip for you. We are the local liveaboard experts so if your preferred trip is not available you can count on us to find you the very best alternative. If you want a liveaboard - ask Sunrise Divers! 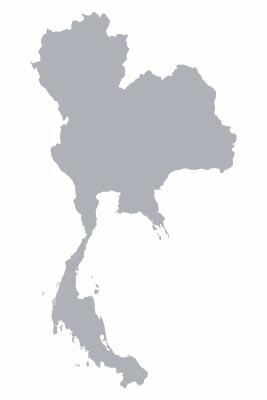 And remember we also offer courses and local Phuket diving from our shop at Karon Beach. We hope to hear from you very soon!